Prime Minister Dr Abiy Ahmed visited on June 28, 2018 Samara, the capital of Afar Regional State. The entire region was expecting to be visited by Dr Abiy Ahmed to cherish him for his courage and support the ongoing reform throughout Ethiopia. More importantly the Afar youth were well organised to welcome the premier. However their hope and aspirations were met with police brutality. The police arrested 125 youngsters and injured 61 some them in the age of 15. 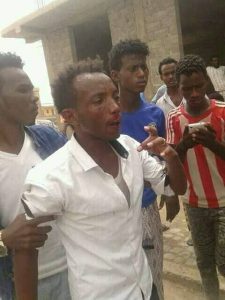 This sad event was well planned and orchestrated by anti-reform elements of the regional leadership among Afar National Democratic Party (ANDP) with intention to reverse the reform process by the government of Dr Abiy Ahmed. Qadaalat kee Dooro Borxi kinni. En Éthiopie, les subtilités politiques en cours ont suscité un certain optimisme aspirant à une réforme démocratique. En effet, le Premier ministre, Dr. Abiy Ahmed, a prononcé un discours rassembleur et inspirant lors de son investiture. Les promesses qu’il a faites ainsi que la libération partielle des prisonniers politiques ont été reçues comme un indice encourageant influent sur les demandes publiques dans tout le pays. Néanmoins, la suppression immédiate de l’état d’urgence, la libération de tous les prisonniers politiques et l’initiation d’un dialogue de réconciliation nationale figurent parmi les principales attentes à court terme. Les réformes structurelles des institutions, y compris la sécurité, la justice, le comité électoral et l’ouverture politique pourraient être parmi les vagues suivantes des réformes pour la paix et la stabilité durable, ainsi que la prospérité inclusive en Éthiopie. The ongoing political subtleties in Ethiopia has ignited a new optimism aspiring for democratic reform. Prime Minister Dr. Abiy Ahmed delivered unifying and inspiring speech during his installation. The promises made coupled with partial release of political prisoners were received as an encouraging indications towards the leverage on public demands throughout the country. Nonetheless, the immediate removal of the State of Emergency, release of all political prisoners, and initiating the national reconciliation dialogue are among the primary short-term expectations. Institutional reforms including security, justice, the election board and political openness could be among subsequent waves of the reforms for durable peace, stability and inclusive prosperity in Ethiopia. 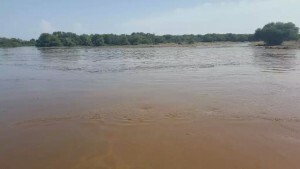 Naharsi malaak Dr. Abiyi Acmad mango xagana Itiyobiyah xayloh elle culekel, Qafar Ummattah Parti Rashiid Saalicit yekkeh yan afduub Qafar ummatta kee Galli mara hanggi kah yaceem faxximtam kassissa. Samara jaamiqatal taamitak suge gifta Rashiid Saalic affara alsaak naharat ayti buxa seewah kaa beyteeh, away elle yanikke kaak matamixxiga. Gifta Rashiid Saalic kaxxam meqe mariinol yamixxigeeh, uma’adooba kee samara jaamiqatih korkorsa sadak suge. Oytitte elle tascassennal kaat yekke axaw kaxxa garabluk 29, 2016 ih Samara jaamiqatak uwwayti qarit gexxe girah oytit axawah ane kal maraqta. Ta giray jaamiqatak adda xiinisso elle taamittah tan uma’adobaak ugutak qarwat gexxeh sugtek ugut jaamiqat xiinisso darraqoysak baajet garqa elle aboonu duudan bicak sugte. At the dawn of the reforms promised by the Prime Minister Dr. Abiy Ahmed, the Afar People’s Party would like to bring the disappearance of Mr Rashid Saalih to the attention of Afar people and international community. Mr Rashid Saalih, an employee of Samara University, has been kidnapped by federal security forces four months ago and his whereabouts are unknown. Mr Rashid is known as a very decent person who has challenged the corruption and looting of the resources of Samara University. Information indicates that his disappearance might be linked to the exposure of the sources of the alleged fire at the main storage building of Samara University on 29 December 2016. Those who know the internal structure of corruption at the university testified that the motive of the fire has been to cover up the unfolding of fraud and mismanagement of the university’s budget. The Afar People’s Party (APP) would like to express its concern on incarceration of artist, activist and politician Mrs. Mafara Mohamed Laale on October 4, 2016. She was imprisoned during a meeting organized by the District administration of Dubtie town in attempt to mobilize the local people to demonstrate against Ethiopians protest in Oromia and Amhara Regions. Mrs. Mafara opposed this malicious act Woyane aimed at to instigate conflict between Afars and other ethnic groups in the country. She instead advocated solidarity support for those who struggle for their democratic rights in all regions of Ethiopia and walked out of the meeting in protest. Shortly after she left the meeting, she was thrown into prison implementing the newly proclaimed Emergency Law that makes her the first known victim in Afar Region. Afar People’s Party is dismayed by the mass killing of our Oromo brothers in Bishoftu, while celebrating the Irrecha seasonal holyday. This act of state-terror and coward action on civilian population is a testimony for that the Woyane regime is falling apart and the situation is getting out of its control. It’s time to make sense of the causes, the causes that people are scarifying their lives for all over the country. Many heroic Ethiopians have been killed, prisoned, tortured and driven from their homes because they merely voiced their grievances and said No to social injustice and said Yes for human dignity. The current popular uprising in Ethiopia indicates that the country is in a grave political crisis. The determinants for the ongoing turmoil are social injustice and the politics of marginalization implemented by the ruling EPRDFs minority regime. The unremitting Oromo protest has been going for nine months, and this torch for justice is now burning all over Ethiopia and most recently in Gonder and elsewhere. The civilian popular quest for justice and equality has been retorted by bullet and many of our Ethiopian brothers has been massacred. The Executive Committee (EC) of Afar People’s Party (APP) announces that it has discharged the chairman of the Party Mr Allo Aydahis Mohamed and Colonel Mohamed Ahmed Ali aka As Mohamed from all responsibilities. Both individuals have been warned during the EC meeting on Dec 27, 2014 for treacherous conducts that undermine the core values of the Party. Despite the warning, these two individuals continued to be treasonous and disloyal to the governing principles of our Party. 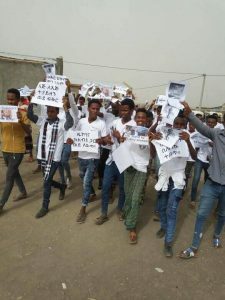 Afar People’s Party (APP) is writing to retort baseless allegations, and false assertions directed to it with regard to alleged peace talk with the Ethiopian government. Spreading intentional but unfounded rumours that target political organisations seems to be a growing phenomenon, and APP has been victim to such allegations on Facebook by individuals with pseudo-names. Our IT team has successively identified the IP-addresses that belongs to Facebook pseudo-names of the individuals who circulate the rumours. These individuals are well known among Afars not only for their erratic and self -absorbed behaviours but also as collaborators with the repressive and tyrannical Woyane regime. Their name will be made public after finalising the ongoing process of lawsuit. It’s well known that the Afar pastoralist have been exposed to the recent drought and lost the majority of their livestock capital. Without recovery from the drought they are now victims of a sudden heavy and snowy rain that flooded the area.